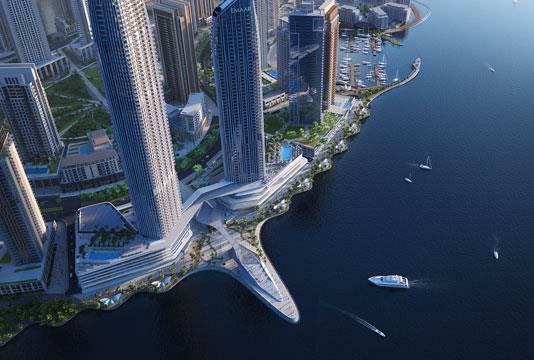 Grand Bleu Tower at Emaar Beachfront, a residential project by Emaar Properties, offers luxury edition 1-3 bedroom apartments & 4 bedroom penthouses in Dubai Harbour, UAE. 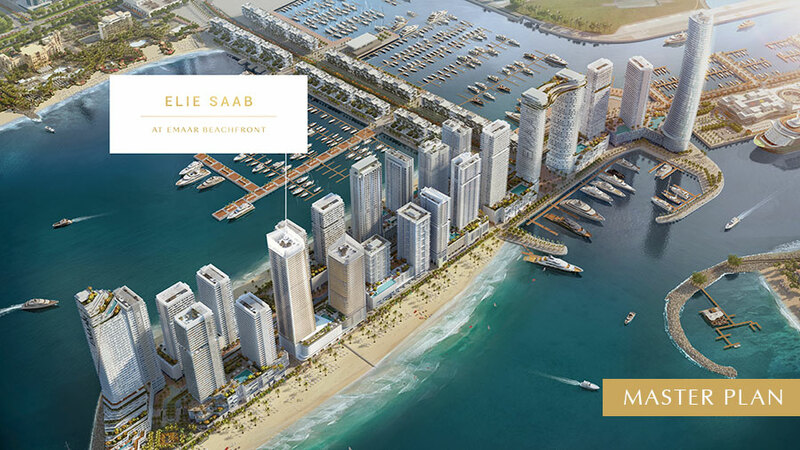 This exclusive collection of branded residences is the first of designer building by Elie Saab in this part of the world. Situated in one of the most idyllic beachfront, the residential units do imbibe the innate elegance and signature style of the designer. Moreover, the uninterrupted view of the Palm, sea, and sky, along with a glimpse of the parks and the promenade nearby, it makes way for an impressive sight. If you are enamoured by the sea and want to live in apartments that are endowed with progressive features, the waterfront homes certainly meet your requirement. Other than these, architecture represents the 1930’s Miami Art Deco District and design make way for comfortable homes. 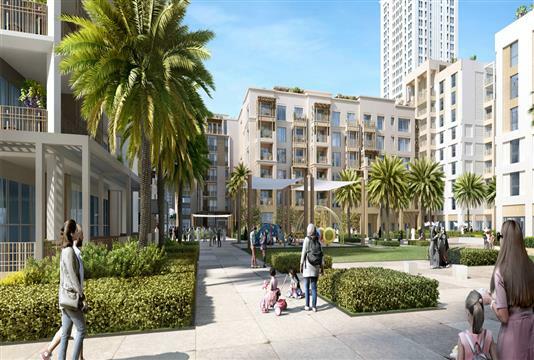 As for the penthouses in this residential tower is concerned, the luxurious setting along with chic interiors, it does enhance the overall living standard and exudes a sense of splendour and sophistication. 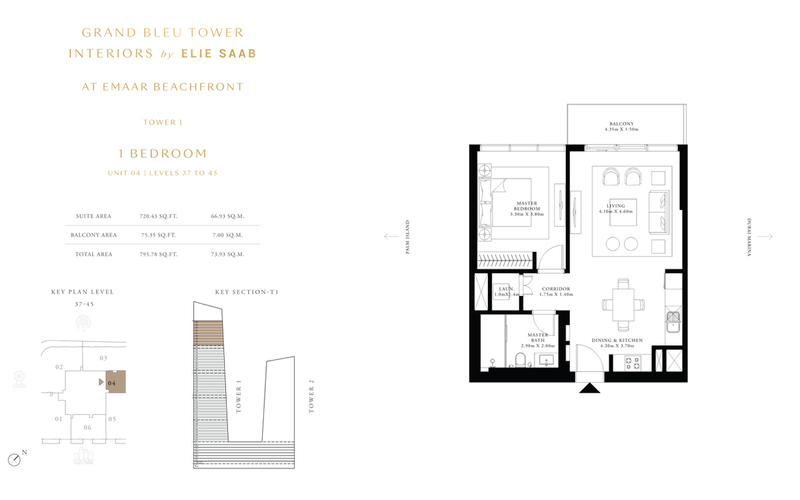 With an emphasis on functionality, the amenities incorporated into Grand Bleu Tower apartments are geared towards maximizing your comfort and convenience. The basic idea is to provide you with a glimpse of the luxury and sophistication that awaits you. 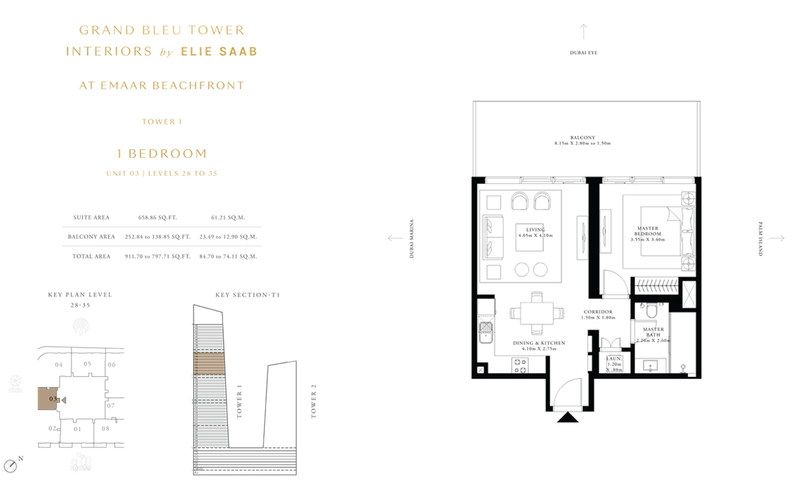 As far as designer luxury beachside residences are concerned, the style and architecture by Elie Saab is bound to impress you. So, the facilities being made available are at par with the development. By and large, the attractive payment plan pertaining to Grand Bleu Tower will be ordained to facilitate the interest of buyers and investors. With feasible down payment and affordable installments, you will find it easy to acquire the home of your choice. 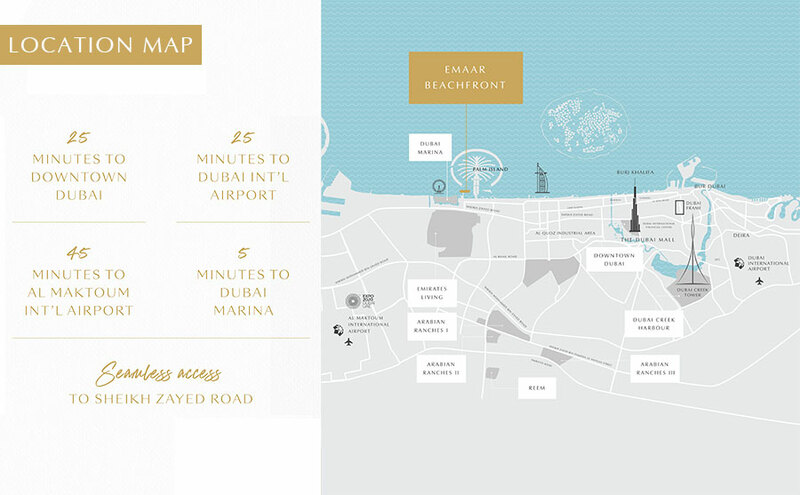 Tucked between Jumeirah Beach Residence and Palm Jumeirah, Grand Bleu Tower gets a strategic location within Emaar Beachfront. 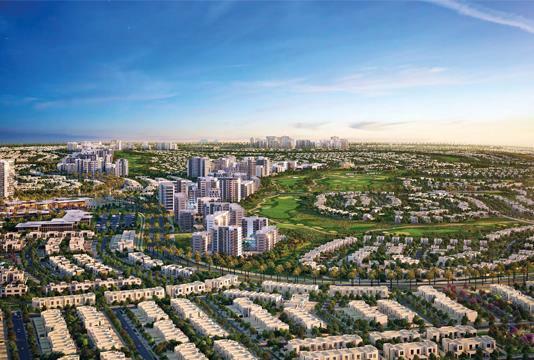 Being a premium island destination, the residential development is well-connected to the major economic and tourism hubs, as it gets easy access to Sheikh Zayed Road. 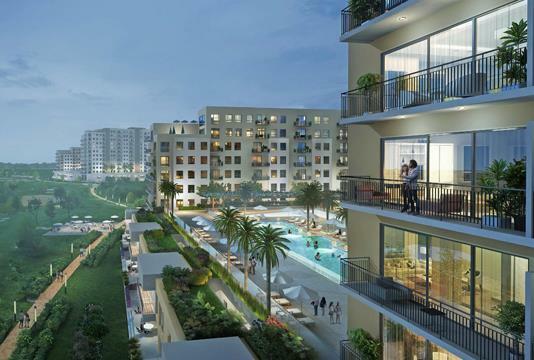 Regarding the Grand Bleu Tower by Emaar Properties, it is indeed an exceptionally master-planned development, equipped with all the right facilities for your comfort. 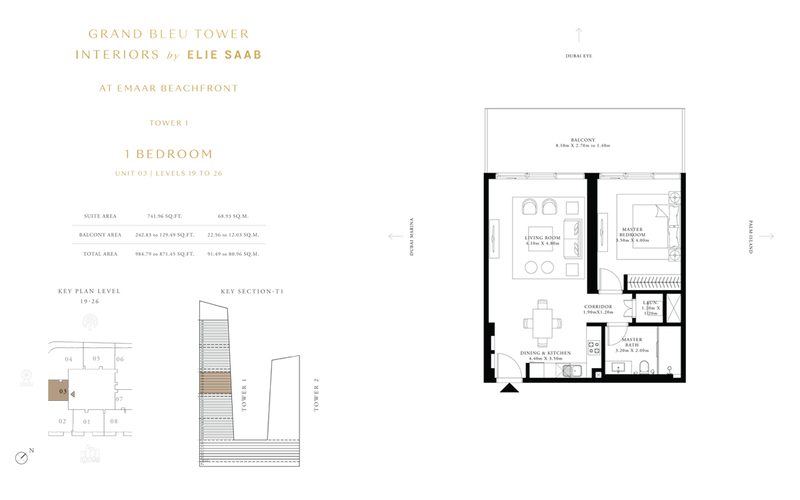 The apartments designed and style by Elie Saab are in close vicinity of a lighthouse hotel, an upcoming mall, Marina & Yacht Club, licensed restaurants, parks and much more. Set within an island community, it is optimized to present a laid-back lifestyle that perfectly suits your personality. Considering the prime location, this residential development is all set to present you with a new blend of cosmopolitan lifestyle, right by the sea.